Xiao Yi – with the Yi technology, has been widely popular for their action cameras and webcams. 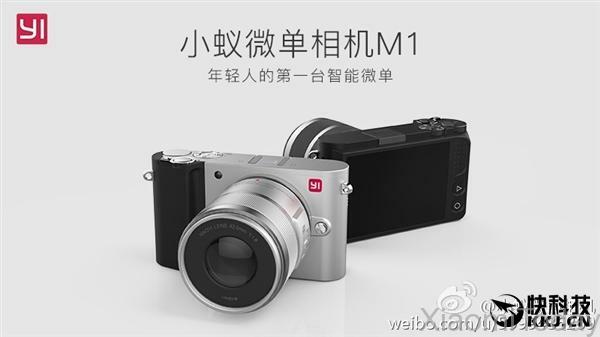 But this time, they are launching their very first mirrorless camera- the Yi M1 with removable lenses. At first sight, the device looks classy and premium in black and grey colors. It also comes with a 3-inch, 720×480 touchscreen to make it feels more like a smartphone. Also, there are as little as only 2 physical buttons on the whole machine. 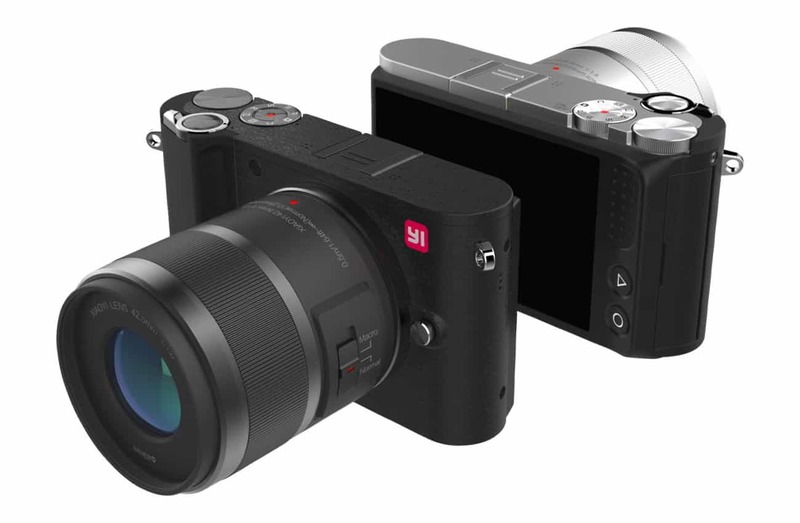 Specs-wise, the Xiao Yi M1 packs a Sony Exmor IMX 269 sensor with 20MP Four Thirds CMOS (a standard for DSLR and mirrorless cameras). The lens have an ISO range from 100 to as big as 25,600. This allows you to take pictures of up to 50 MP and record videos as sharp as 4K resolution at 30fps (frames per second). If you prefer your media files to be less heavy, lower resolution options are also available. Xiao Yi M1 makes sure to impress its future users with a professional ISP image processor and a quad-core ARM CPU pre-installed under the hood. HDR, RAW modes, electronic image stabilization are also coming at hands. Surprisingly, the camera will not be supporting EVF (electronic view finder) or LED flash. However, we bet there will be extra gadgets coming when the device is launched. Xiao Yi knows the market’s trend pretty well, since they are also packing built-in Bluetooth and Wifi to their Yi M1. This gives users fast and easy access to share any picture with their smartphone devices. The camera will start to roll out online through China’s JD.com website, starting September 23rd. Up to now, we hear no confirmation on Yi M1 price yet. However, keep in mind that it is not expected to be a budget device, especially with all the interesting features we just got to know.